Today we’ve rounded up our 10+ Most Popular Vintage Crown Images for you! We’ve searched through our extensive Image Archives here at The Graphics Fairy to find our Best Vintage Crown Images. Additionally, we threw in a few Crown Themed projects for inspiration! This is a great collection of some of our most beautiful Crown Images. 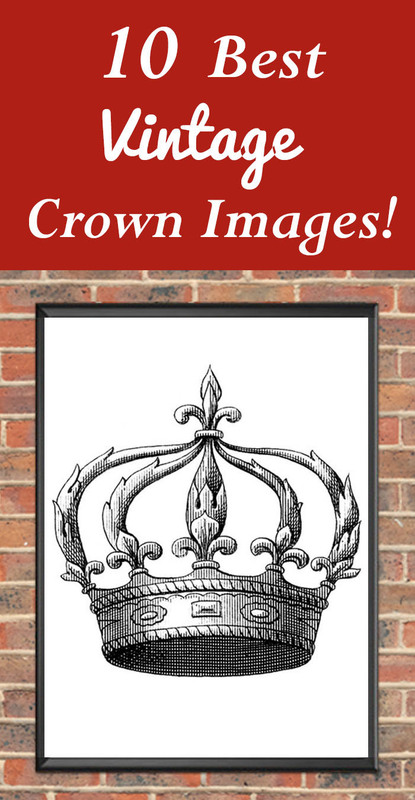 In this post, you’ll find 10+ links to our delightful and gorgeous Crown Images! 1) VINTAGE CLIP ART – BEAUTIFUL CROWN GRAPHIC AND PRINTABLE! One of the fabulous old crowns from the 1840’s European Encyclopedia! This one looks similar to some of the others, but it actually is a little different. It works so well in many different DIY projects! 2) TRANSFER PRINTABLE – FLEUR DE LIS CROWN! This is a beautiful 1840’s Fleur de Lis Crown. It is sized appropriately for Iron-on Transfers. You can make any number of DIY projects, including Towels, Pillows, Placemats etc. The possibilities are endless! 3) VINTAGE CLIP ART – ANOTHER FABULOUS CROWN! Another fabulous old public domain crown download from the 1840’s European Encyclopedia! This crown appears to have fabric on the inside, (velvet I would imagine); it’s very regal looking! 4) TRANSFER PRINTABLE – VINTAGE CROWN WITH CROSS! This beautiful Vintage Crown Image topped with a cross atop an orb is beautifully detailed. You can print it out and transfer it onto any number of DIY projects! This one comes from an 1840’s Encyclopedia. 5) AMAZING VINTAGE GOLDEN CROWN! This is fabulous with gorgeous, vibrant colors! The Crown appears to have a velvet lining and there are lots of beautiful ornamental details on the gold metal of the base. 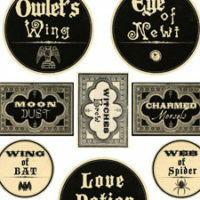 So nice to use in your Royal Mixed Media, Graphic Design or Decoupage Projects! 6) WONDERFUL CROWN! This wonderful Crown Image comes from an Antique Jewelry Catalog, which dates to around 1870’s – 1880’s. The Crown is quite ornate, with 2 sort of egg shaped Jewels on the top. So fancy and fun!! 7) DELICATE PRINCESS CROWN! Another fabulous crown from the 1840’s European Encyclopedia! I’m calling this one a princess crown because it’s more delicate than some of the others, and the shape and the flowery embellishments look feminine to me. But that’s just my take on it! 8) FLEUR DE LIS CROWN! This is another gorgeous Crown from the 1840’s European Encyclopedia!! This one has some wonderful Fleur de Lis designs all around it, as well as on the top. It has been enlarged, making it the ideal size for Home Decor DIY projects such as towels, pillows or canvas wall art. 9) TRANSFER PRINTABLE – CROWN SILHOUETTE! Antique Silhouette Crowns are not easy to come by! This is a wonderful Crown Silhouette from an 1860’s Book with a High Resolution printable. This would look fab on Linen or Burlap, and is great for Flour Sack projects too! Of course you can use this for any of your DIY projects, like pillows, towels, signs, table runners and gorgeous on furniture pieces! 10) VINTAGE CLIP ART – JEWELED CROWN! Another fabulous Crown from an Antique Book! This one is loaded with Jewels and has a Cross on the top! So lovely for your Craft or Collage Projects! 11) Vintage Crown Images – 4 Options! These are some fabulous Vintage Crown Images, Circa 1873 London! The original version is the black and white one, that has Fleur de Lis going around it and a Cross on the top. Included are a few other versions, including Aqua, Pink and a soft Green. I think this would be cute to use on Invitations for a Birthday Party! 12) Vintage Image Download – Royal Crown! Another wonderful crown from the 1840’s European Encyclopedia! This one appears to have fabric on the inside, (velvet I would imagine), and fur trimmed around the base. Very regal looking! You can use this in your home decorating or DIY projects, like towels, pillows, tote bags etc. These fun Crown Image Projects are perfect to use in your next Fairy Craft Project! You can learn all of the FREE Techniques by clicking on the links below! 1) HIGH QUALITY IMAGE TRANSFERS ON FABRIC – EASY! Adding Graphics Fairy crowns and other fun images to all kinds of garments and fabric opens a world of possibilities. Just think: you can add large graphics to duvet covers, curtains, pillow cases…Oh my goodness. Very exciting! 2) MAKE SHRINKY DINK CHARMS – PARIS BRACELET PROJECT! Celebrate a love of all things French with some simple and easy-to-make jewelry pieces. If you would like to make some of these darling charms, this is a wonderful way to utilize your favorite Graphics Fairy crown images! 3) DIY FAUX METAL CROWNS! ELEGANT GRUNGE TECHNIQUE! 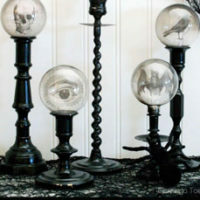 Transform humble materials into Faux Treasures. If you’d like to convert a cereal box into an Ancient Relic with rusty, grungy goodness – check out this fun process! 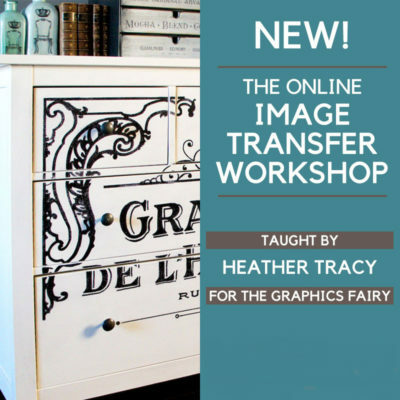 You might also like the Online Image Transfer Workshop with Heather Tracy, available in The Graphics Fairy Courses Here. « Retro Fairies with Pain Tonic Bottle Label!